Having a completed a half century of RoundTables, the iSPIRT team was back with the 51st RoundTable on what’s currently the hot topic of discussion and debate in the startup community – mobile! A lot of startups are also trying to figure out their mobile strategy and this was evidenced in the great interest shown by startups in participating in this RoundTable. And why not? It’s not too often that you get a chance to deeply interact and learn from senior industry practitioners like Amit Somani, who was the facilitator and Vishal Anand, co-facilitator for the RoundTable. The participating startups were from different domains (healthcare, HR, payments, consumer services etc.) and across stages (already have something up and running on mobile, tried something on mobile, but didn’t work, yet to figure out mobile strategy and so on). There was a round of introductions with each startup giving a context about their company and industry, the key challenges and their expected takeaways from the RoundTable. The iSPIRT RoundTables are highly collaborative in nature with a lot of peer learning and feedback as part of the discussions. As the introductions were happening, the facilitators were mapping the areas that startups were looking for help to the mobile journey. With the introductions complete, the group had a fair sense of the key areas that would be taken up for discussion during the RoundTable. This is perhaps the simplest and easiest way, but could you be smarter in doing this? Could you create different segments of users and offer targeted coupons instead of a blanket coupon? E.g. Say, an iPhone user is more valuable than other users. Could you then possibly offer her a higher value coupon? You’d also need to be careful about the positioning and perception of your brand? If the focus is on coupons, will you come to be known as brand offering coupons rather than be known for your service? Also, with coupons, are you sure that you’re attracting the right kind of users or you’ll end up acquiring only ‘deal-hunters’? While coupons are an effective channel, it’ll be helpful to create segments to as minute levels as possible and offer them to users appropriately. There is limited availability of high quality mobile developers and designers these days and startups have to compete with some heavily-funded companies for the same talent pool. Given this scenario, does it make sense to outsource mobile development and design? Participating companies had interesting experiences to share. For some of them, outsourcing hadn’t worked well. Some of them were able to find high quality freelancers and engaged them effectively. However, one insight that Amit shared found resonance among the audience – one way to perhaps go about outsourced mobile development could be to breaking down the deliverables into design, frontend, backend etc. Perhaps engage a good designer for design and do the rest in-house? Also, in most cases, the backend is core to the company and that’s perhaps something that needs to be done in-house. Does mobile lend itself to a one-time use use case? For example, if there’s an app for employees in a company to check and update their records etc, does it really lend itself to a strong use case for mobile? Can one create enough hooks to engage the user to come back frequently to the app? The next key discussion was around metrics and tools to use to measure the metrics. Amit gave a simple, yet powerful formula to look at metrics – Record everything, Track 12 and focus on 3. This will help in identifying the really important metrics and drive the company’s energy to focus and improve on those. An ideal comparison for Lifetime Value (LTV) to Customer Acquisition Cost (CAC) is LTV > 3*CAC. In a lighter vein, Amit mentioned that given the amount of marketing spends companies have these days, he’d be very eager to meet and invest in a company that even has LTC = CAC! That said, the importance of thinking through the right economics and working towards it with reasonable visibility is something Amit stressed throughout the session. Rather than averages, Amit mentioned it might be useful to look at percentages, have cohorts to measure movement and perhaps look at percentiles as well depending on the metrics. (Daily Active)/(Monthly Active) >= 15% is a good number for any app. Also, (Monthly Active Users)/(Install Base) >= 25% is good as well. Flurry – gives comparative data and is free. Anuj Tandon Talks about “How Rolocules is Using Games to Build Personal Bonds” #iSPIRT Event from iSPIRT // ProductNation on Vimeo. They (you’ll never know who these wise people are) say, well begun is half done. If you ask anyone connected with iSPIRT, I’m sure all of them will agree that we’ve definitely begun well, but definitely not on the ‘half done’ part! That definitely doesn’t take anything away from the impact iSPIRT has had in the short period that it has been in existence. 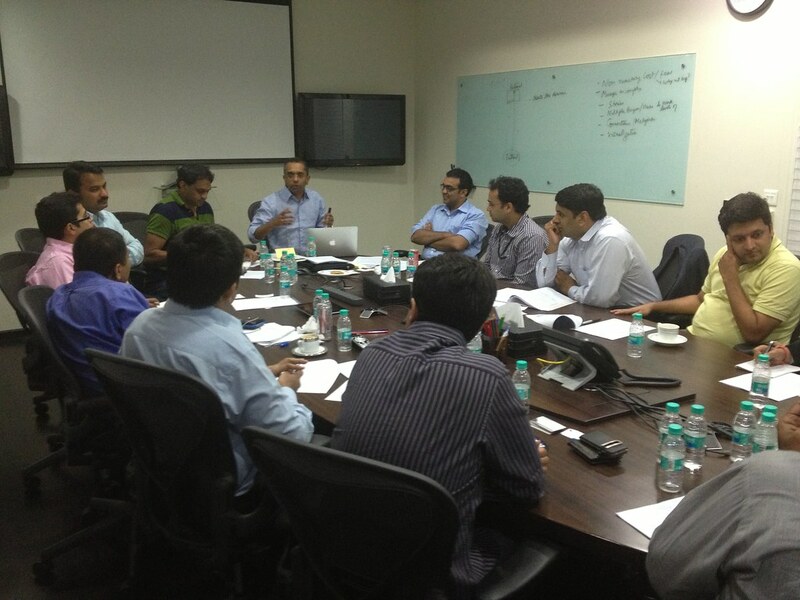 From organizing India’s first bootcamp #PNCamp, conducting over 23 PlayBook Roundtables across segments like Sales, Marketing, Product Management, driving a focused initiative on driving M&A opportunities for Indian startups to even driving a policy intiative to work with the government and its organization, iSPIRT has indeed created a strong impact in the Indian Product Startup ecosystem with over 300 companies impacted and over 220 product entrepreneurs touched. And the reason those involved with iSPIRT – Founders, Fellows, Mavens & Saarthis won’t agree with the ‘half done’ part is because they believe there’s a lot more to be done in the coming years. On the other hand, it is quite hard to imagaine that so much has been done only one year of iSPIRT’s founding! To mark this occasion, a get together of all those connected with iSPIRT was organized last Saturday in Bangalore. The well-attended event saw participation from various sets of people associated with iSPIRT and from across different spectrums of the product startup ecosystem. In attendance were iSPIRT Founder Circle Members, iSPIRT Fellows, Mavens & Saarthis, representatives from iSIPRT’s partners for different initiatives, key people from the investor community and the media as well. iSPIRT’s anniversary party provided for a good reason for the different stakeholders to come together for an evening filled with great conversations & fruitful interactions. There was an interesting twist at the beginning itself. At the entrance, each participant was to pick up a card and write their names on it. 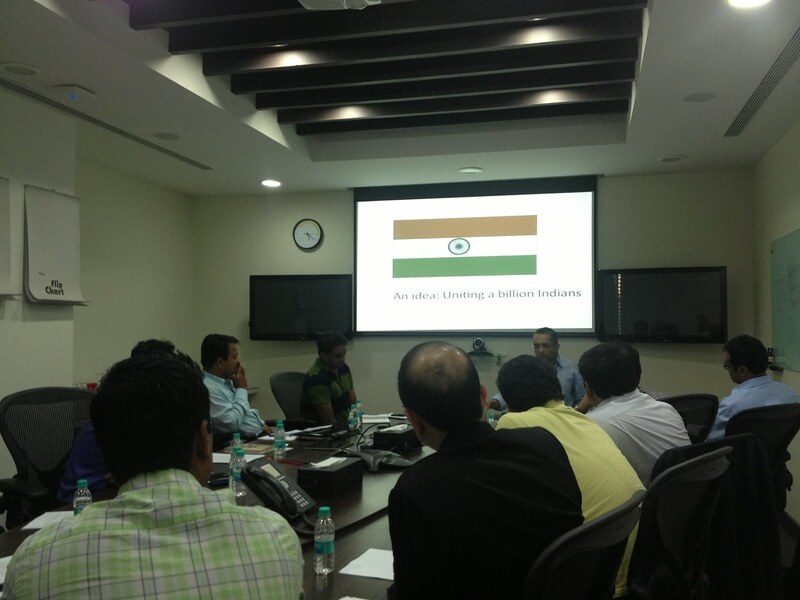 The card also had a pledge that they’d take towards promoting & helping Indian product startups by ‘paying it forward’. One would then write their names on it and hang it to the ‘tree’ in the center of the room. On the way out, one would pick up a random card (of course, ensuring that it’s not one’s own) from the tree and then connect with the person whose details are on the card! That’s a pretty nice way of getting people connected and having them know one another. Oh, and that was quite a nice cake! The conversations gathered pace as the introductions happened and the participants stepped out to the lawns to launch the fire lanterns. It was quite cold and there was a slight breeze because of which the lanterns wouldn’t light up easily. But entrepreneurs being entrepreneurs, they wouldn’t give up so easily. We did manage to launch quite a few lanterns and it was quite a sight to see the lanterns float high in the sky! Reminded one of Sharad’s blog post – Fireflies Lighting Up The Sky! Dinner, drinks and some more conversations followed! It was an evening well spent – reminiscencing about the wonderful year that iSPIRT completed, meeting interesting people from the product startup ecosystem & having interesting conversations with them and going back with a stronger resolve to do our own bit to indeed transform India into a ProductNation! It’s a conference….it’s a summit….it’s a camp! Being a startup ourselves, we constantly listen to our customers (who are startups as well!) and try and come up with initiatives that solve their problems and address their pain points. In that regard, the genesis and the program design of the ProductNation Camp has come from what we’ve been hearing from you – the Indian product startup community. Sandeep has very nicely elucidated the need for a Product Bootcamp for Product entrepreneurs and laid out the broad agenda of the #PNCamp. #PNCamp is expected to be a very intense, highly curated and focused two-day event with two tracks – Discovery Hacking (on Dec 4) and Scale Hacking (on Dec 5). For a product entrepreneur, getting the first set of customers is mighty important from multiple perspectives – validating the need for the product in the market, generating the first rupees (or dollars!) in revenue and grow the startup from a buzz in the head to a live organism. While 2013 is expected to end with a Dhoom for Bollywood fans, it’s the same for product entrepreneurs attending #PNCamp. Rather than an ending, we hope it’ll be a new beginning for them to grow their startups to greater heights in the coming year. One of the producers of the product startup community’s Dhoom, Sai unveiled the first look of #PNCamp and gave us a glimpse of what’s in store for attendees of the Discovery Hacking track on Day 1. It is said that well begun is half done. Let’s stay the tough part, that of beginning well has been taken care of and you are now staring at the tougher part – of growing your startup across multiple dimensions. That is when the startup is in the happy-confused state and there are a lot of questions on your mind. Sales cures most ills, but how do you sell? This will be the primary thrust of the morning sessions which is mandatory. Here, we will have separate tracks for those who are selling to a global audience and those who are selling domestically. The challenges, hiring, operations, etc are completely different. In the afternoon, we have various exciting sessions on how to understand and communicate with customers and how to pick the right product direction when you have scarce resources to spread amongst several promising ones. Choice in an uncertain world is not easy and while we promise no silver bullets for your problems, we do promise to ignite enough fire in the belly (and in the heads!) for you to go back and navigate your way into scaling your startup. We also have specific “Oh, Oh, How do I do that?” sessions on specific topisc you’ve always wanted to know..
We will have around 75 chosen participants for the Scale Hacking Day divided into cohorts of 15-20 people each. There are mandatory sessions which all participants will attend and then the cohorts will attend the optional sessions depending on the stage of the company and their interest. No wonder most of the selling in India happens through ‘feet on street’. And when you’re out there on the streets, it’s always a fight. Fight against time to sign-up customers, fight against a thousand other things to get the customers’ attention, fight for receiving payments on time and just fight for survival! You have probably got your first set of customers, but you want to scale now. What are the different ways to do that? Does the Channel Partner route work and what are the pros and cons of taking that approach? How do you reach out to your next set of potential customers in an effective manner? Should you now start considering mainstream media for advertising or scale up your digital marketing efforts? More importantly, how do you plan for scale and put together the right team to execute your plans? How to hire the right people and fire the ones that don’t work out well? Dhiraj Kacker, who has built Cavera into the leading destination for customized printed merchandize and an e-commerce solutions provider for photographers, will facilitate this session. Dhiraj along with Canvera’s Co-Founder Peeyush was recognized as amongst the top-10 Most Influential People in Photography in India by Asian Photography magazine. So he surely knows what clicks with his customers! If IT services companies made the world flat, Saas product companies have made it even flatter! While Zoho remains the pioneer, we have seen many SaaS companies FreshDesk, WebEngage, Wingify, Capillary Technologies, ChargeBee among others whose products are proudly Indian and that are selling to customers from across the globe. What does it take to build a global SaaS company out of India? More importantly, what does it take to sell to customers you haven’t met or even spoken to? How do you price your product so that customers from across geographies can buy it? How do you take care of the differences in the customers expectations, time zones, languages, even customs and culture across different regions? After all, every product has a personality. What about providing support to global customers? Samir Palnitkar (ShopSocially, AirTight Networks) & Girish Mathrubootham (FreshDesk, Zoho) will facilitate this session. You wouldn’t want to miss this session unless you want to see your dollar dreams go sour! Here’s a quick question – which is the Indian brand that has grown the fastest in recent times and its identity (hint, hint!) transcends all barriers of language, region and religion? What’s more, it is very much an Indian tech startup! Yes, you guessed it right. It is Aadhar. Meet Shankar Maruwada, who gave the Aadhar its brand name and developed its identity and made it into the household brand it is today. Get to know how to place yourself inside the customers’ heads, try and understand what factors play in their decision-making and how you can approach your customers better by anticipating what’s possibly on their minds. Well, you wouldn’t want to be that fish which can’t understand how people live without water! It’s true that media coverage alone isn’t the true barometer of success of a startup. But hey, when has positive media attention, especially from a top global publication like TechCrunch hurt any startup? That is of course, assuming that the product is a good one! For a lot of product entrepreneurs, getting featured on TechCrunch is a dream and considered as a good means to be visible in front of a lot of people – customers, investors, partners among others. So what does it take to get featured in TechCrunch? Considering they’d be getting hundreds of requests each day, do the writers and editors there even read such emails? Do you need to hire a high-profile PR agency and spend a lot of money? Or should you just build something meaningful and the coverage will happen by itself? Valorie Wagoner, Founder of ZipDial, has done that and been there (on TechCrunch). ZipDial is one of the fastest growing global startups emerging from India and Valerie will share her experiences of getting covered in global tech blogs and tell you how your startup can also get featured with no money spent! So you think acquisition only when you have reached a certain level and scale of business? Well, that’s what a lot of entrepreneurs in Bangalore thought before they attended this round table. How do you know if the time is ripe for your company getting acquired? How do you choose between multiple suitors you may have? What are some of the key things one should keep in mind so that all the stakeholders have a favourable outcome? While an acquisition is a regular business transaction in the US, do we Indians get (needlessly?) emotional about it? Jay Pullur, Founder and CEO of Pramati Technologies and Sanat Rao, Director, Corporate Business Development (Emerging Markets) at Intel will facilitate this session. iSPIRT has a very active M&A initiative with Jay and Sanat actively leading the M&A Connect. You’d surely not want to miss this opportunity to understand how you can set yourself up for a nice acquisition. Every CEO needs somewhere to turn for the insight and perspective only trusted peers can provide. When such peers meet together in a setting where there is an atmosphere of confidentiality, respect and trust, it can become a supreme sounding board. We will call such a setting a “Forum”. Such a forum can become most valued asset for the members, because the maxim holds true: it can be lonely at the top, but it doesn’t have to be. At #PNCamp, we want to experiment, for the first time, with building such a Forum by forming a small group of peers who meet regularly to exchange ideas, thoughts and experiences on the issues that matter most to them. During the first meeting at the PNCamp, this group will be taught effective forum techniques, a set of protocols and a shared language that creates immediate and meaningful connections among members. I’ll end this post with a quote from the very inspirational movie, The Shawshank Redemption. Dear Red, If you’re reading this, you’ve gotten out. And if you’ve come this far, maybe you’re willing to come a little further. You remember the name of the town, don’t you? Of course, you remember the name of the town. It’s Pune and we look forward to see you in Pune on Dec 4 and Dec 5 for #PNCamp. PS. After all this if you haven’t still applied for #PNCamp yet, we’re afraid you may be a little late. Apply Now here! “99% Practice, 1% Theory”. This was the ground rule laid down for the session by the workshop facilitator Shankar Maruwada at the beginning. Sounds very much like the tagline of a popular softdrink brand that’s No Bakwaas! No wonder it came from someone who has loads of experience in the FMCG space, built and sold an analytics company and has more recently given life to what is arguably India’s biggest consumer brand, Aadhar. The theory lasted just a couple of minutes with Shankar telling a simple, yet a compelling story of how the Indian flag evokes a strong feeling even though it is nothing but a geometrical shape consisting of rectangles and a circle! The point that a compelling visual and a strong emotional connect can touch a strong chord was driven home very clearly. Over the course of the next 3 hours, Shankar orchestrated a highly engaging and interactive session with the participating companies, making them think hard and think deeper to help them think in the right direction. What also helped immensely was that Shankar had gone through the profiles of each of the participating companies and knew the challenges each of them were facing. 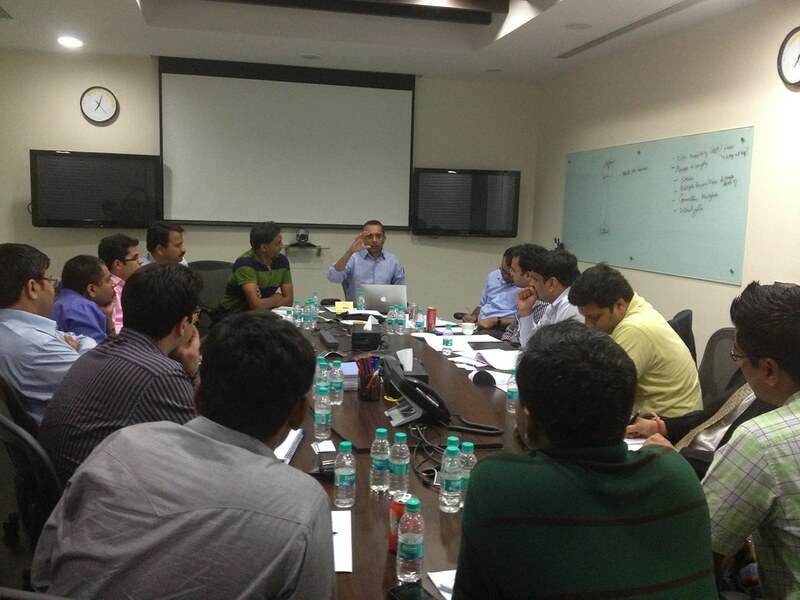 The participants were involved in exercises that helped them think beyond the regular product features and benefits. Emphasis was placed on understanding and communicating the whys of the product rather than the hows and on ways of building an emotional connect with the customers that will resonate strongly with them. The participants were made to think through the different stages of the communication to customers. For each step, two companies shared their thought process in detail with other participants sharing their inputs for the two companies. The participants found it very helpful to pick the brain of other entrepreneurs and learn from other entrepreneurs. A couple of participating companies probably found their one-line message or the keyword that signifies their product offering by the end of this workshop! What’s the grand idea that can resonate with everyone? This is beyond the product features, pricing and has a much higher connect. E.g. Education with the reach of television, your own personal secretary.. If possible, use connections, metaphors and analogies for better impact. E.g. YouTube of…., Google of…..
What will make your customers sit up and take notice? This is something related to their business that they wouldn’t have thought of or know about and you instigate that thought through your messaging. This should make them care for your product offerings and be interested in exploring more and have them say, let’s talk! E.g. Did you know that you can now teach a million students right from your classroom? Did you know that 30% of devices in your corporate network go undetected and potential sources of malware that can disrupt your network? These are the features and functionalities built into the product. These would explain how the product works. E.g. Various roles built in for access control and permissions, different interfaces and interactions for different user types, alerts, reports and notifications. As you’d observe, the how part becomes more prominent as you move from the Idea stage to the Features stage and the why part becomes more prominent as you move in the reverse direction. Depending on the whom you’re speaking to in the scheme of things at the customer’s end, you can focus on the appropriate stage and communicate accordingly. It is said that well begun is half done. Considering that this was the first such roundtable, the response from the product startup community was very encouraging and the participating startups found it to be very relevant and effective. The engagement with the participants will continue even beyond the workshop. The startups will be in regular touch with each other, share their inputs and the learnings derived from the workshop and update on the progress. There are more such Playbook Roundtables planned in the coming days across various locations and hope the product startup community will make the best use of those and benefit from them.